The objective of this course is to provide participants with the fundamental skills necessary for proper Data Validation & Review of Radiometric Data. For all radiological and hazardous sites investigations, it is essential to know the quality of the data used for decision-making purposes. 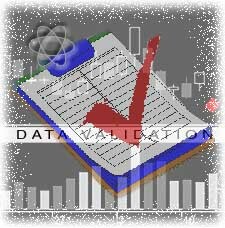 The process of generating radiochemistry data of known quality begins in the planning stages when data quality objectives (DQO) are established; continues during sample collection activities and laboratory analysis; is re-evaluated when validating the analytical data; and is finalizes as part of the data quality assessment process. This course provides students with an essential explanation of radiometric data validation as prescribed in MARLAP. Radiometric Data Validation is performance based while both inorganic and organic are prescriptive. The student will gain valuable insight to this significant difference. Data validation specialists, chemists, program managers, data users and all personnel who are involved with the data usability activities. Cost for this course is $1,995.00 [U.S.] and the optional Certification Exam is an additional $250.00 [U.S.], with All Proceeds going to the Radiochemistry Society. Space is extremely limited. In order to assure placement we encourage a prompt response. The instructors are very enthusiastic and knowledgeable! The tone of the class was enjoyable and breaks were taken at the appropriate time. All the information will be well used when I return to my job. The examples/real-life scenarios in the different industries used throughout the workshop helped to give a better and overall understanding of the role of data validation. Information was presented in a very well matter.